Yesterday was the first day that it really and truly felt like spring and I don’t even think I need to tell you how excited that makes me! I had very little time to spend outside but I made sure to grab some frozen yogurt and enjoy the sunlight while I could. It.was.AWESOME. I woke up feeling rejuvenated and excited for more warm weather and decided to celebrate with an old favorite: Greek yogurt pancakes! It’s been awhile, right? 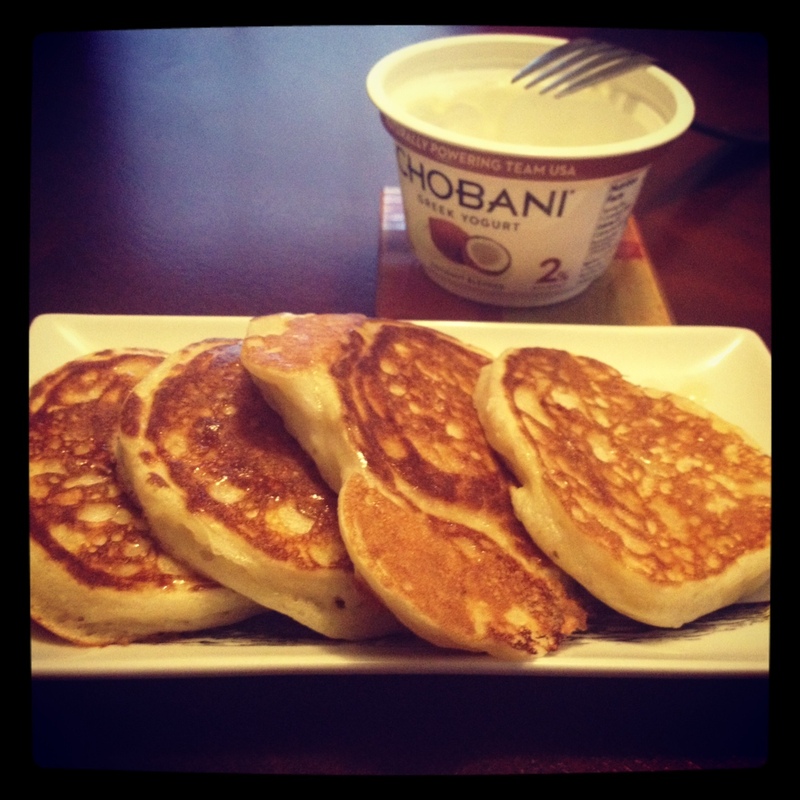 That old saying “absence makes the heart grow fonder” absolutely applies to pancakes, these babies were heavenly! She then backed down and I could tell she was getting ready to jump into the window. Here’s an important thing about Charlotte- she is EXTREMELY skiddish and terrified of most things. 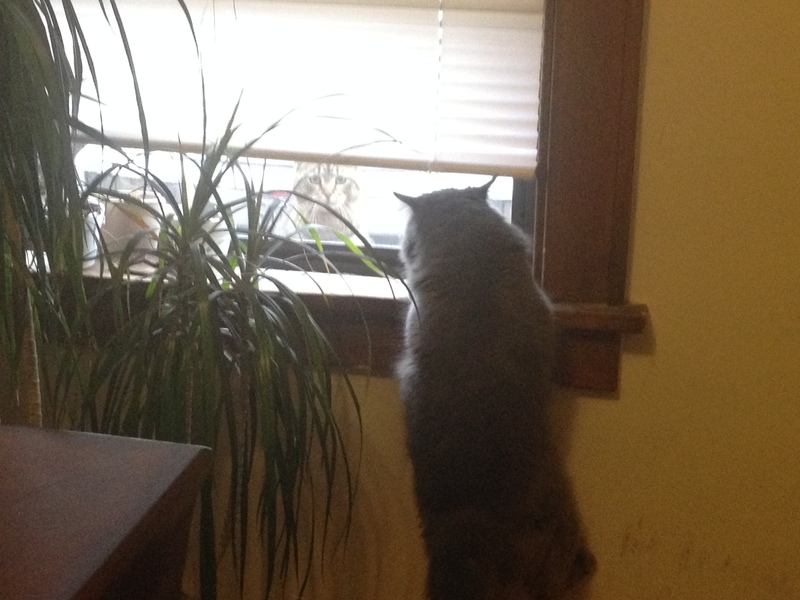 Every time she meets a new cat her only reaction is to squat down and hiss. And she doesn’t just hiss at the cat, she hisses at everything. She’ll just sit there and continue to hiss. As predicted she hopped into the window and started freaking out. She was hissing and trying to back away but the window ledge was smaller than she anticipated and she fell off but was hanging by her two front paws for a second and it was adorable! It’s hard to tell because the photo quality is embarrassingly bad but she is just hanging off the ledge here! 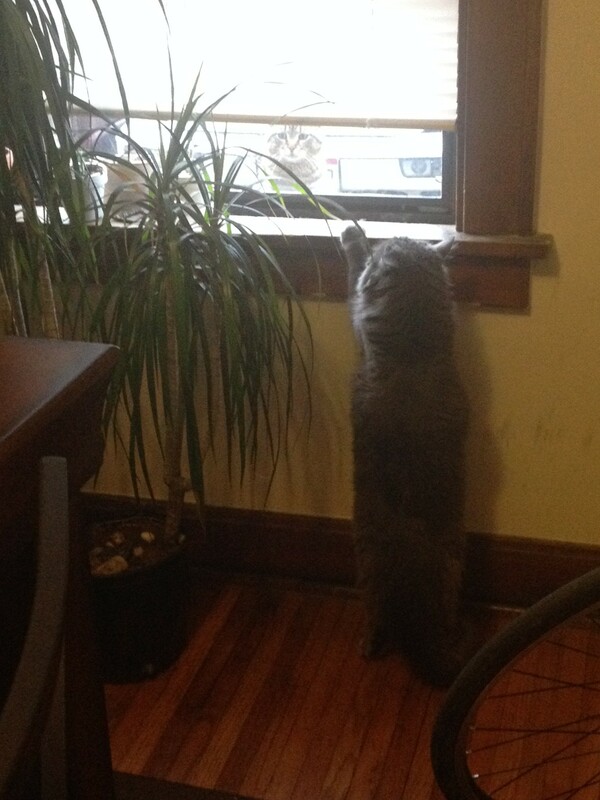 Outdoor kitty literally had no reaction to this, he just continued to sit there and stare at her like she was crazy. Oh cats. I’m heading up to Cleveland this weekend to see my sister and not run that 20 mile race I talked about (more on that later), but I will be cheering her on! Should make for a good mini-vacation. What’re your weekend plans?